I wouldn't mind laying my head down here every night. I love everything going on up there. 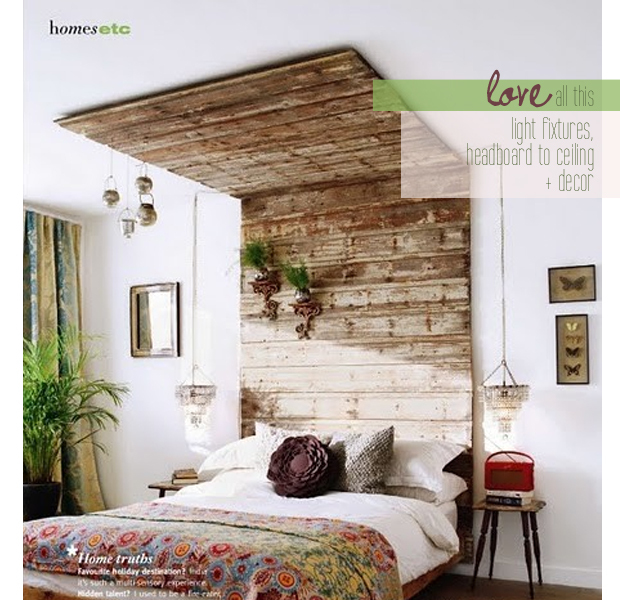 The headboard to ceiling rustic wood planks, awesome light fixtures on top and sides, a fun red radio + a colorful bedspread and pillows combo. A bit of greenery always makes a space look + feel so fresh.